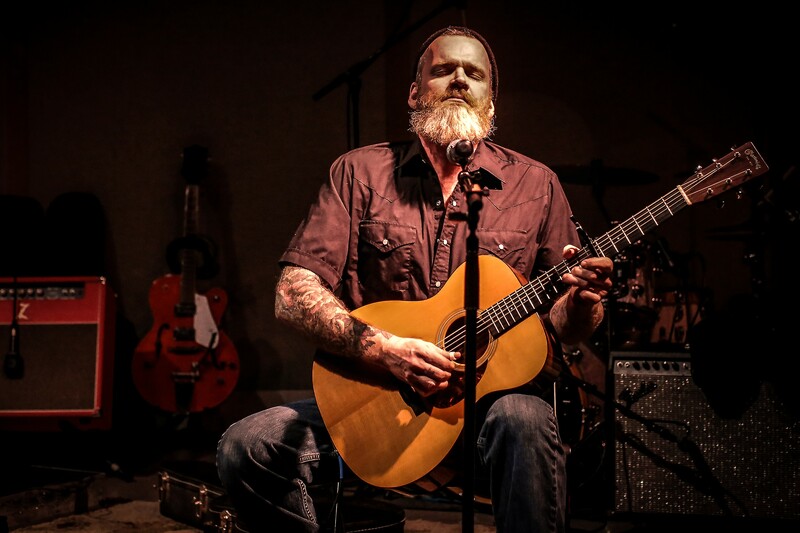 Bio: Tony Redman is a guitar player/singer living in Fayetteville Arkansas. Redman's show mixes old blues classics, with original songs steeped heavily in delta blues. Some musicians have the ability to captivate an audience and make a performance feel truly unique and interactive. With, beautiful harmonies, a soulful southern sound, and improvisational skill – every Pinetop Renegades duo performance is a unique experience that audiences respond to and keep coming back for again and again. Pinetop Renegades is a Northwest Arkansas-based acoustic duo with members Dave Smith (vocals, guitar); Cryssie Hale (vocals). With extraordinary creative and Stylestechnical skill and a deep love of performing, this talented duo puts their distinctive sound to Blues, Soul, Rock Classics and Country Ballads - including original compositions that bring listeners back for more. Bio: Bootleggers of organic free-range gluten-free blues rock from just across the westward state line. Hand crafted original tunes that go down smoothly with just a hint of aromatic notes that are equal parts Vaughn, Hendrix, Wilco, and Madonna. Hailing from Tahlequah Oklahoma this 4-piece outfit is lead by Jack Myers on guitar; and accompanied by Richard Wood on bass, Aaron Lee on Keys, and Jacob Martin on Drums. Myers was edumacated at the University of Arkansas and is a semi-professional goat farmer who also practices surgery on humans in his free time. Wood is a living Rembrandt on stilts and scaffolds who has no fear of heights, or anything else for that matter. Lee is a professional wizard of computers and anything electronic. Martin is a collegiate jazz student drummer and if you’re wondering what a jazz drummer is doing with us... so are we. 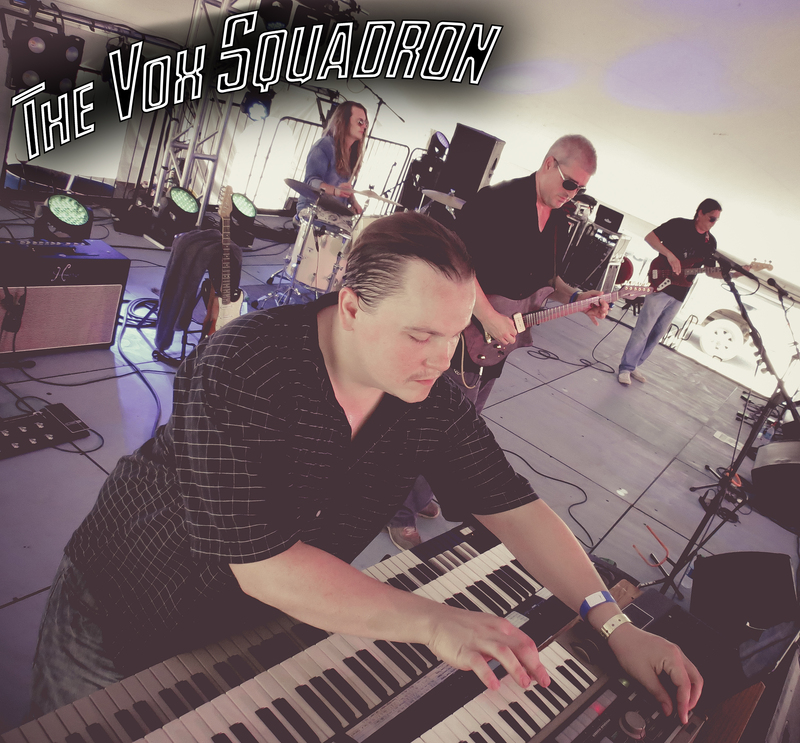 The Vox Squadron is on a mission to melt your face with blues infused dad rock... or die trying. Bio: BUDDY SHUTE AND THE MOTIVATORS A hot little blues band from Northwest Arkansas, Buddy Shute and The Motivators (www.buddyshute.com) have been playing together for years in various forms, entertaining fans with both original and cover tunes. Infused variously with Memphis soul, bayou zydeco, and New Orleans jazz, their songs leave audiences feeling anything but blue. 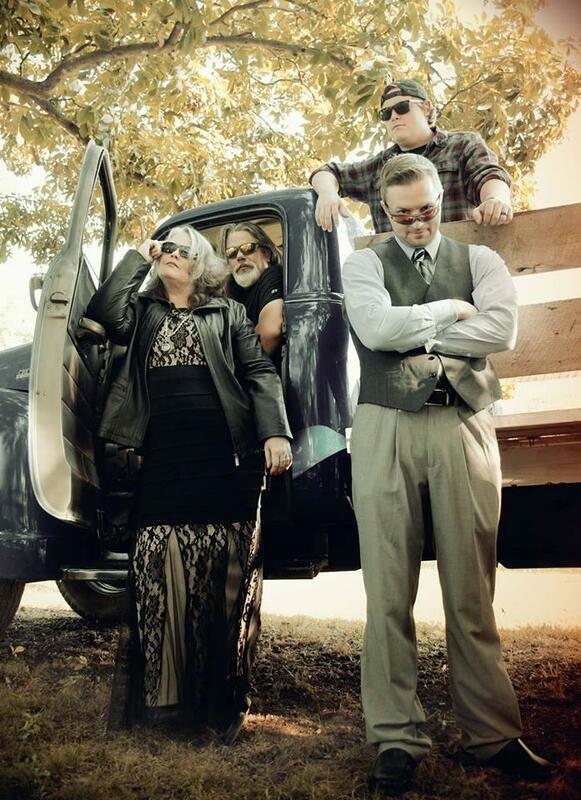 Their latest CD, “A Whole Lot Like the Blues,” was chosen to represent the Ozark Blues Society at the 2018 International Blues Challenge. A search for Buddy Shute on YouTube.com will turn up a number of performances from over the years. Current members of Buddy Shute and the Motivators are: Buddy Shute: Buddy's vocals, guitar playing, and songwriting all reflect his Memphis roots, where he began playing the bar scene at age sixteen. The time he spent living in New Orleans contribute a spicy flavor to many of his songs, which often relay his experiences in the Big Easy. Buddy traveled the country for several years, eventually settling in Arkansas. Much of his music tells tales of his life there. He currently lives in a cabin near the Buffalo River, where he's visited by deer, bears, and the occasional muse. Mark McGee (harmonica): Originally from the West Coast, Mark's family moved to Arkansas when he was eleven. 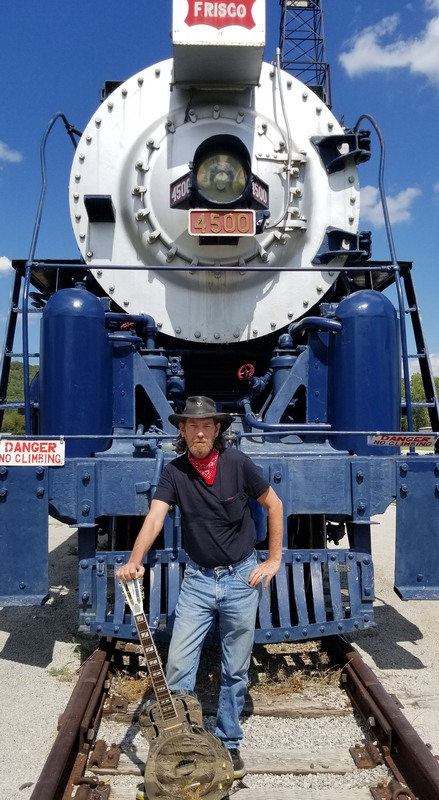 He describes his musical style as “country boy meets the blues.” Influenced by Charlie McCoy and John Hammond, he's a fan of blues, Cajun and gospel traditions. Mark bought his first harmonica in 1970 for a whopping $7.50, and has been playing ever since. His preferred harp is the Hohner Golden Melody. A fan of Cajun music, he's also been known to play a mean rub board. Brenda Gail Baskin (vocals, percussion) hails from Memphis, and is the band's newest member. Her many influences include Etta James, Al Green, and Mavis Staples. In addition to crooning the blues, she sings, plays guitar and hits the washboard in an Americana/ folk duo with her husband, Steve. A longtime resident of Northwest Arkansas, she reports that thanks in part to Buddy and his band, her second childhood is a lot more fun than her first. Steve Baskin (bass) has been a staple of the Northwest Arkansas music scene for many years. He was possibly the first music major with a concentration in upright/electric bass at the University of Arkansas. He's played in many bands over the years, in a variety of genres, as well as directing band at the middle and high school levels. With that background, he helps keep the band in line and grooving. A blues aficionado, Steve's also a fan of jazz, classical and rock. Additionally, he plays guitar in an Americana/ folk duo with his wife, Brenda. When Randy Reese was a twelve-year-old Ohio farm boy, his father promised him a drum kit if he took care of the family cattle for one season. No cows have ever been treated so well. He got his drum kit, and at age fifteen, he and his family relocated to Arkansas. His musical influences include Steve Gadd, Omar Hakim, Buddy Guy, Keb Mo, and Taj Mahal. He's played in many cities, in many bands over the decades, and counts Buddy Shute and the Motivators among his favorites. Listenable, danceable, likable— Buddy Shute and the Motivators bring joy to the blues.